• Avoid peak hours especially if you have to travel long distance. If you have flexible work timings, you can leave early both to and from work. 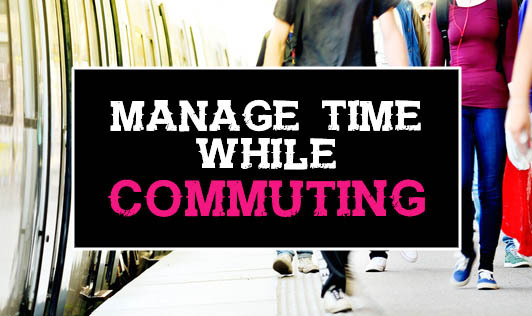 • If you travel by public transport, use the time to do something productive. You can even cultivate a hobby. • Carpool with your friends and colleagues. You will end up getting ready on time and you will have company too. • Have a fixed time to leave home and work. • If you have an option of working from home, take it occasionally and skip commute altogether. • You can make use of the time to do not-so-important and time taking tasks like returning phone calls. Time is important to each one of us. Use it in the best way possible and manage it efficiently.